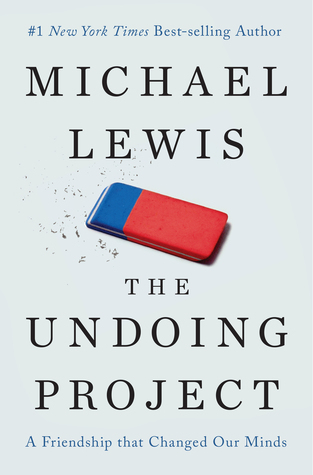 which is about the work of Amos Tversky and Daniel Kahneman, two Israeli psychologists who earned world renown in economics, of all things. 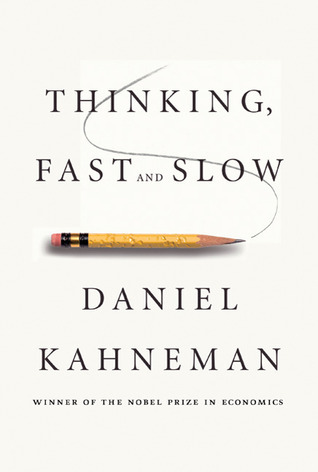 I’m also reading Daniel Kahneman’s own book, Thinking Fast & Slow. I’m not normally inclined to read books that don’t involve history, culture, travel, or dogs, (or best of all, a combination of those things) but surprisingly, psychology allows some greater understanding of all of those things that interest me. Thinking fast, the decisions we make intuitively, like holding on to the dog leash when thinking slow would allow you to arrive at the better decision (to let go), are explained as two separate functions of the human brain. We all do it and we all make flawed choices based on too little information. Both functions of the brain are essential to our survival. Clearly, some fast thinking results in a good outcome. The thing that continues to astound me is how many people use the intuitive part of their brain to make decisions when they have plenty of time to gather enough information to make a more reasoned decision. That’s the lazy part of the human brain. It’s just easier to feel that something is true than it is to research and evaluate. Somehow, it feels good to reaffirm something we want to believe even if there is evidence available to us that contradicts our position. I’m looking ahead wondering what will be gained, and what will the costs be, of having someone who relies heavily on intuition to make decisions that would benefit from more critical evaluation, in the White House. Only time will tell. My “old” friend, Mary, joined the girls and me at a quaint bed & breakfast in the rural community of Rainbow a couple of weeks ago. https://rainbowinn.smugmug.com/ Mary’s not THAT old but our friendship goes back some fifty years. FIFTY YEARS!?! Okay, I guess she IS that old. Mary and I became friends when we were in seventh grade and we discovered we both had a crush on the same boy. There was no rivalry as he didn’t know either one of us existed. Our friendship was further enhanced because I was horse crazy and she had two horses. We never lost touch over the years even though she moved away at the end of ninth grade. Each of us married young and our husbands joined our friendship. The four of us spent many weekends and vacations together despite the two hour drive between us. Now, entering our retirement years, Mary’s husband is suffering a life-threatening illness, and that weighs heavily on Mary both mentally and physically. An overnight getaway with her old friend was just what the doctor ordered. I loaded up the girls and all their gear, beds, bowls, homemade dog food, etc. and we were off. The girls loved Mary, who is (of course) a dog lover and the B&B hosts were most gracious. The weather was rather cold and breezy but the girls enjoyed the pool nonetheless. A good time was had by all. Back home we fell into our usual routine of biking and walking. This morning, we were thoroughly dressed down by an irate coyote who told us in no uncertain terms that we were unwelcome trespassers on his turf. When we were about 100 yards away he began his yammering, standing in the middle of the paved road, between us and home. I courteously put the leashes on the dogs, though they showed no interest in mixing it up with him, and stood patiently waiting for him to finish his tirade. After a minute or two, he grudgingly moved a few yards off the pavement, but continued his harangue. We proceeded past the place where we knew him to be by his yapping, even though we couldn’t see him in the brush. The girls showed less interest in him that they do the dogs along the way who are behind fences. I would call him cheeky but, in his defense, we were invading his territory. The road is closed to vehicles here but motorcycles can get around the gate.